The 2010 Bourgogne Hautes Cotes de Nuits is an attractive, fleshy wine with lovely depth in its dark red fruit. Spices and licorice add complexity and nuance. This is a pretty wine in its category. Anticipated maturity: 2013-2016. The 2010 Vosne-Romanee emerges from the glass with sweet red berries, spices, licorice and crushed flowers. There is a forward, juicy quality to the fruit that begs for drinking the wine over the next few years. Anticipated maturity: 2013-2020. The 2010 Clos de Vougeot-Musigni emerges from the glass with freshly cut flowers, red berries and mint. Bright aromas and flavors meld into precise, mineral notes as the wine shows off its energetic, focused personality. Layers of sweet perfumed red fruit blossom beautifully on the deep, textured finish. Anticipated maturity: 2020-2030. 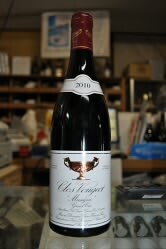 The 2007 Clos de Vougeot-Musigni is another harmonious wine from Gros. 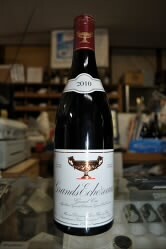 Sweet red fruit, flowers and anise are some of the nuances that emerge from this mid-weight Burgundy. The Clos de Vougeot-Musigni has great persistence and terrific poise. Hints of tobacco and cedar add complexity on the close. Anticipated maturity: 2012-2022. 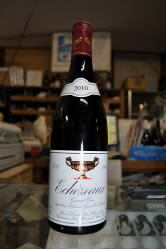 The 2010 Echezeaux is rich, ripe and surprisingly open. Plums, black cherries, spices and dried flowers are layered into the sensual finish. The Echezeaux gives the impression that it will drink well relatively early, but there is also enough intensity and depth to make me think it is likely to offer a very broad window of highly pleasurable drinking. Anticipated maturity: 2020-2030. The 2009 Echezeaux is like silk on the palate. It is an intense, enveloping wine that fills out nicely with time in the glass, showing lovely juiciness and integrity. The fruit flows through beautifully to the well-balanced, persistent finish. Tasted again 30 minutes after opening the wine acquires an explosive, full-bodied personality that is hard to resist. This is a highly satisfying, harmonious Burgundy. Anticipated maturity: 2019-2029. The 2010 Grands-Echezeaux is weightless and impeccable. Subtlety and elegance are the backbone of this beautifully balanced Grands-Echezeaux. Dark cherries, blackberries, spices, licorice and tar all flow through effortlessly to the inviting, seamless finish. Despite its deceptively medium-bodied personality, the wine has plenty of depth, not to mention terrific overall balance. Anticipated maturity: 2020-2030. The 2010 Richebourg boasts a huge center of fruit, deeply pitched, expressive aromatics and tons of structure to back it all up. Violets, menthol and spices develop in the glass, adding tons of complexity and character. The aromas and flavors reach a big, expressive crescendo on the finish. This is a fabulous showing from Bernard Gros. Anticipated maturity: 2020-2035. 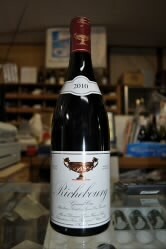 The 2009 Richebourg is a fabulous, statuesque wine. The aromas and flavors display fabulous delineation, clarity and intensity, while the tannins are impressively firm yet refined. This is a delicious, elegant Richebourg that should drink well relatively early, but that also appears to have the potential to age well. The vines were planted in 1985 and 1989. Anticipated maturity: 2019-2032.